This wine displays the natural tart acidity of Nebbiolo, well accompanied with hints of sour cherries, raspberries and hibiscus tea on the finish. The tannins are firm and beautifully integrated. The 2014 Nebbiolo visually seduces with a delightfully brilliant garnet red colour and flashes of amber around the edges. The bouquet displays notes of rose petal and dried wild herbs such as thyme, origanum and fynbos plants along with earthy, leathery tones. This wine displays the natural tart acidity of Nebbiolo, well accompanied with hints of sour cherries, raspberries and hibiscus tea on the finish. The tannins are firm and beautifully integrated. Decanting this wine promises to bring it to life even more – the evolution of this wine over the next decade will be a fascinating journey. 90% of the older Nebbiolo block was used for this wine with 10% of our younger block making a contribution for the first time. The grapes were harvested at a sugar level of 24°B and then crushed into stainless steel fermentation tanks where they fermented at 27°C for approximately 10 days. The juice was inoculated with a yeast strain selected for the development of the natural characters in the Nebbiolo grape. Two pump-overs were done per day to extract colour and tannin. 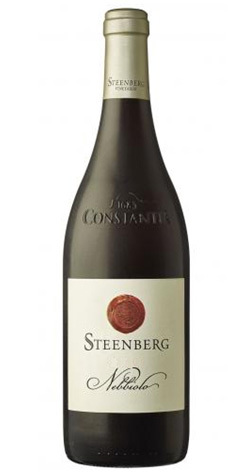 The wine underwent malolactic fermentation in barrel and there-after matured in 500L and 225L barrels with 9% first fill, 19% second fill, 36% third fill, 30% fourth fill and 6% fifth fill french oak barrels for 16 months.